Healthcare professionals tend to work in close spaces like medical offices or examination rooms. They tend to need more movement from the seated position than most other professions. 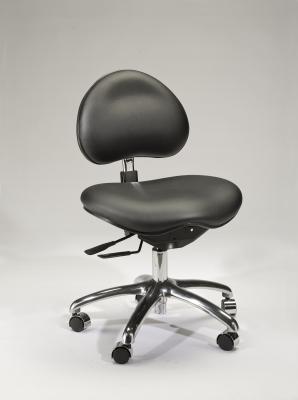 These are the reasons why we designed the healthcare chair with a full range of ergonomic features but with a small spacial profile. It can maneuver in the often tight spaces that healthcare professionals require, but still offers comfort. 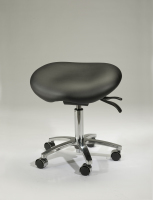 The saddle seat provides the stability to lean forward to perform necessary procedures or examinations.